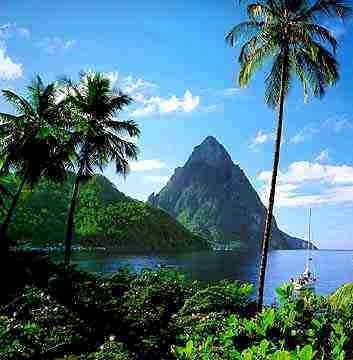 Freedom Bay, which will open in 2013, will be located on the southwest coast of St. Lucia and is The Registry Collection’s first affiliated resort on the island. Freedom Bay offers visitors the best of what the island has to offer, including mountainous terrain, rainforests, coral reefs and sunny beaches. It is situated within the UNESCO World Heritage Site at the foot of the iconic Pitons; the two volcanic spires that create a dramatic visual rising against the blue waters off the coast. The resort will sit on the backdrop of the lush tropical rainforest on Freedom Bay, allowing visitors to bask in the luxury of the naturally modern and spacious décor and outdoor living spaces while absorbing the breath-taking rainforest surrounding them. On offer are a 24-hour concierge, and the services of butlers, housekeepers, chefs, waiters and gardeners. Freedom Bay development will include the first Six Senses international branded five-star hotel in the Caribbean. The unique spa services offered at the resort will help visitors relax while taking in the natural surroundings of the resort, and include cliff-side massages, Pilates on the jetty, hydrotherapy in the natural springs, volcanic mud baths under the stars and body treatments made from local leaves, bark, fruit and nuts.